We are hands-on capacity builders. We walk alongside collaborative change processes – coaching, advising, developing skills, enabling cultural change, facilitating learning and rapid adaptation. We also roll up our sleeves and provide practical help when needed. 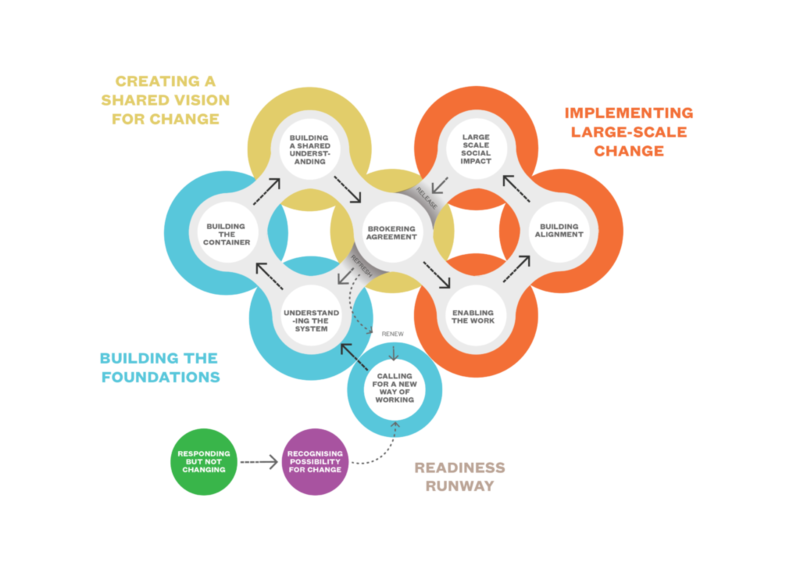 This ranges from: community mobilisation, empowerment, equity and leadership, facilitation and co-design to enable cross-sector collaborations; through to data analysis, measurement and evaluation. Find out more about the people who do this work. Find out more about the network who join us.